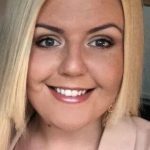 Sarah is a PHE Screening quality assurance officer based in Manchester, providing administrative support in the North region for the abdominal aortic aneurysm and diabetic eye screening programmes. She also provides administrative support for the national bowel cancer screening programme hubs. Her work and educational background lies predominantly within mental health and she previously worked in a clinical quality department for a private mental health provider. Sarah has trained as a mental health first aider.